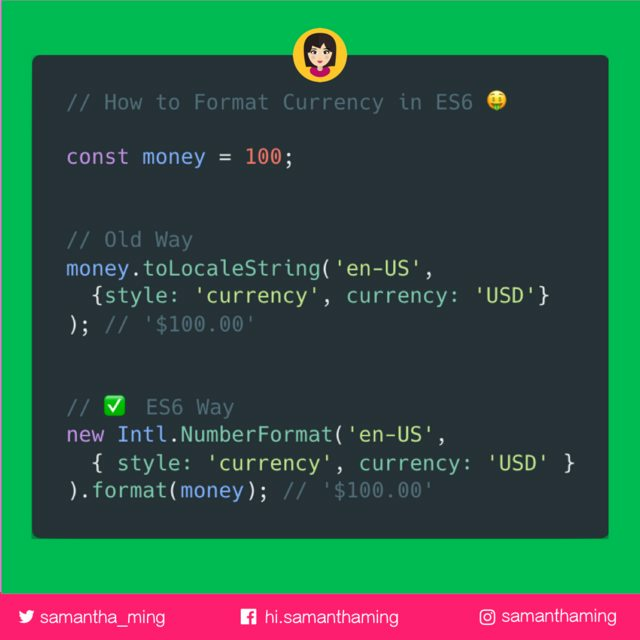 You can now use the NumberFormat instance to format any number into a currency value. Let's talk about the parameters. It's made up of the locales and the options object. First, you have the locales, this is the language and region settings. It is made up of language code and the country code. There are tons of options, but let's just talk the two that we're using: styles, currency.